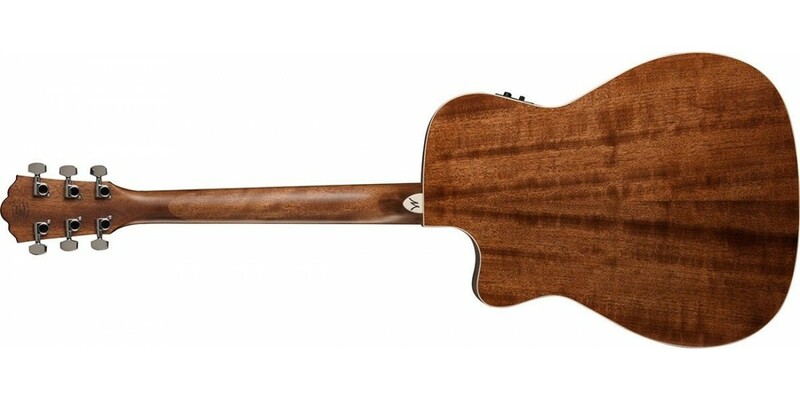 The HF11SCE is a folk style acoustic guitar that's perfect for singer/song writers and those who love the added articulation that a folk sized body brings to the tonal table. The cutaway makes it possible to reach the highest frets and the included Fishman electronics let you sound your best when amplified. 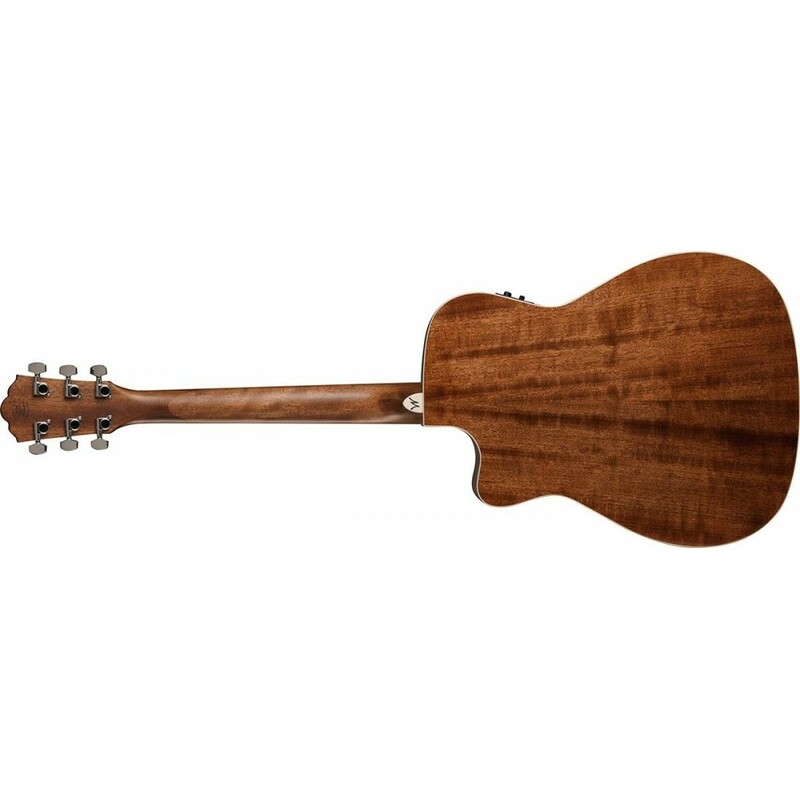 It features a solid cedar top for superior tone that improves with age, mahogany back, sides and neck, a rosewood fingerboard and bridge, diecast tuners for quick, easy and accurate tuning, a Washburn tortoise pickguard and a custom rosette. 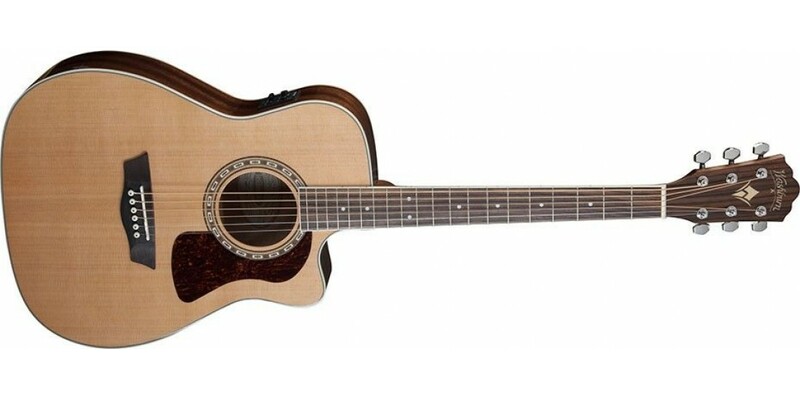 The HF11SCE is well suited to finger picking and those who perfer a smaller bodied acoustic. It's a great performing or recording instrument. 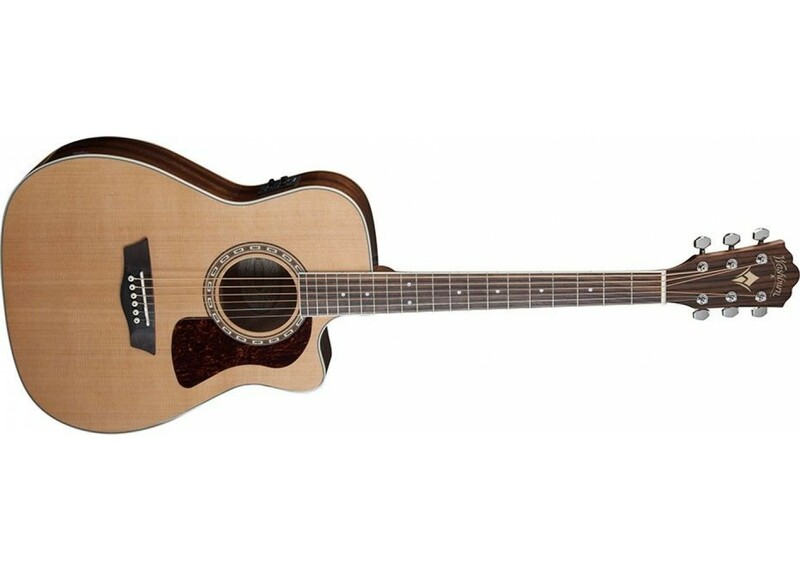 With its built in premium Fishman 301T Tuner/Preamp, you'll never have to carry a tuner with you, plus it provides the most natural amplified acoustic tone and features volume, bass and treble controls and a phase switch for feedback control.